Dr Sara Jones says public relations professionals need to seek out new opportunities in digital technology. Dr Sara Jones, a Senior Lecturer in the School of Informatics and programme director for the Masters in Innovation, Creativity and Leadership (MICL), says the public relations industry must take advantage of a number of emerging areas in technology to maximise creativity. 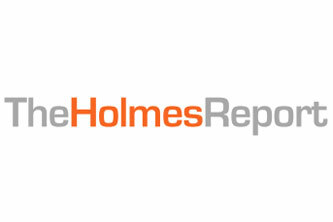 Her comments were cited in the respected Creativity in PR report co-authored by the Holmes Report and creativity consultancy Now Go Create in association with global public relations agency, Ketchum. "The results of the survey offer a fascinating snapshot of an industry struggling to find opportunities for creativity in a climate of severe constraints. To overcome these constraints and develop an appropriate climate in which creativity can flourish, the [public relations] industry will need to address not only the issues around recruitment, training and incentivisation but also look to new opportunities such as those arising from recent developments in technology. Social media, crowd-sourcing, serious games, affective computing and the use of big data visualisations all offer an abundance of exciting opportunities that are there for the taking." Dr Jones was invited to contribute to the report in her capacity as programme director of the MICL by Claire Bridges, the report's co-author and founder of Now Go Create.